I keep threatening to redecorate my sunroom, which also doubles as my children’s tv/play room. Everything in there was pulled from somewhere else, or originally intended for something else… like my husband’s beautiful, but way to big for the space, desk. This morning, I found this amazing deal of a rug on Haute Look, and again it has me thinking about color schemes and redecorating. 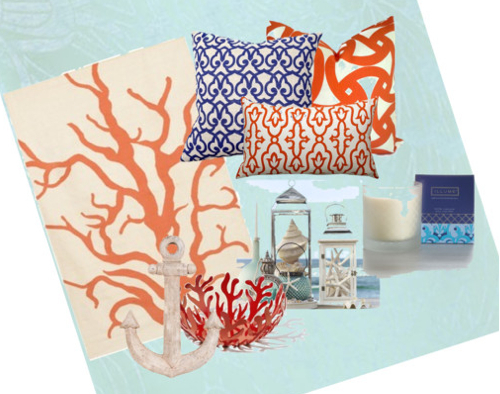 I know I want a beach-y feel in there, and plan to paint the walls pale blue but from there, I haven’t made any significant decisions. 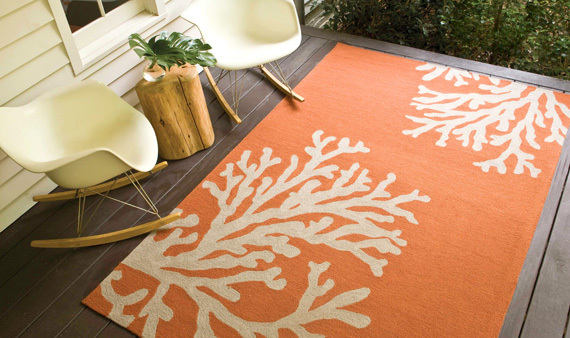 This rug though, makes me think light blue, navy and orange for the sunroom….